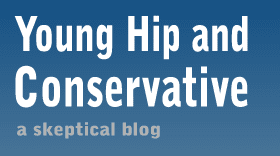 Personally, I would bet everything on the young conservatives, and normally I don't like to gamble. My generation lives in a left-wing bubble with academia and leftist bias in movies, song lyrics, trendy entertainment websites and selected news sources passed along social media. I've found young progressives completely inept at understanding the other side of important issues like the Citizens United ruling or trying to discover motivations for conservative positions other than hatred, greed or religion. Meanwhile, youth culture exposes young conservatives to many of these things. They may turn to Fox News or fail to understand that the government isn't necessarily endorsing gay marriage when it allows it, but they still end up hearing the same bleeding heart rock songs and seeing the same anti-capitalist movies. High school drop outs want what? Politicization of Martin Luther King Jr.